Hello everyone! Hope you are all having a fantastic Friday and enjoying this glorious sunshine. If you didn't know yesterday I graduated from university at Westminster Cathedral. It was an absolutely beautiful day and I cannot believe that I now have a degree. It's crazy. If you would like a Graduation post with pictures and everything please let me know in the comments below. Now I know it is way to hot for make up as in this weather it just melts off your face however because it was my graduation and because I was getting photos taken professionally I had to wear a little bit more make up than I would have liked, especially as my skin has been quite naughty lately and is breaking out spots in every corner. Not good at all. On Wednesday I went shopping with my mum to look for an outfit for my graduation. We weren't able to find one as I just couldn't find a dress I actually liked. Why does every single shop have dresses that just stick to you? I'd like a nice floaty loose dress and I literally could not find one. It was literally so annoying. If you know of places (not online) that sell loose floaty dresses please let me know. Anyway, all was not lost as we did end up buying some make up. I've been needing a new foundation for quite a while as my previous one has run out and then I bought another one in the wrong shade by mistake so when I finally went I decided that instead of looking around and trying all the foundations that I haven't tried before I just went for one I had previously used. 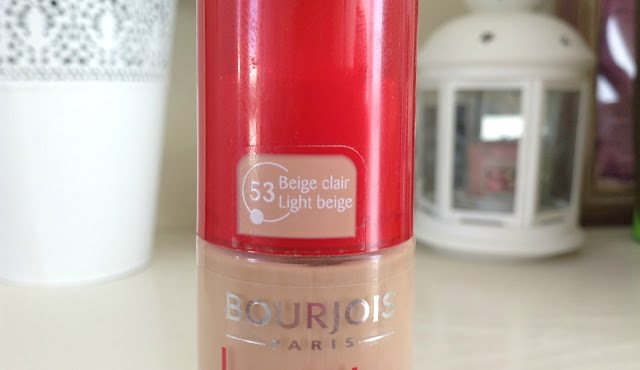 The foundation I purchased was the Bourjois Healthy Mix Serum foundation. My mum is currently using this foundation so I was borrowing hers for a few days, however because I had used the radiance reveal version before and I absolutely loved it so I thought it was about time I purchased my own bottle of the serum one. I have noticed that this is actually more recommended than the 'radiance reveal' foundation. The Bourjois Health Mix Serum is known to give skin a radiance boost. This is from the gel within the foundation that contains a vitamin rich fruit therapy formula. The formula contains litchi, goji berries, and pomegranates. This is designed to give you an even complexion as well as an anti-fatigue finish which is good as in this heat you just don't sleep well at all so the fact this reduces the appearance of tiredness is a plus in my books. 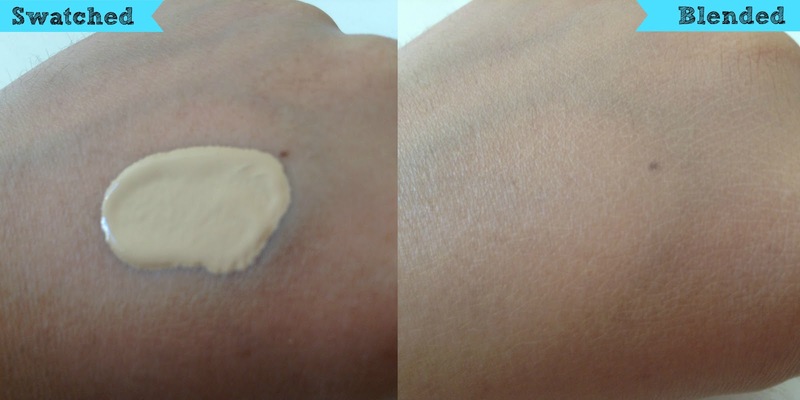 On application this foundation just glides over your skin and blends into it perfectly. All the imperfections and blemishes on the skin are removed and I find this foundation definitely improves the radiance of your skin as well which is good as this is one of the main reasons I bought it. I wear the shade '53- Light Beige'. It just blends into my skin tone perfectly and leaves a really natural finish to the point where people have actually asked me if I'm wearing make up because it's just really natural and leaves an absolutely flawless finish. The main reason for the flawless and natural finish I think is because this foundation is quite warm and yellow toned which makes it very easy to match your skin colour. 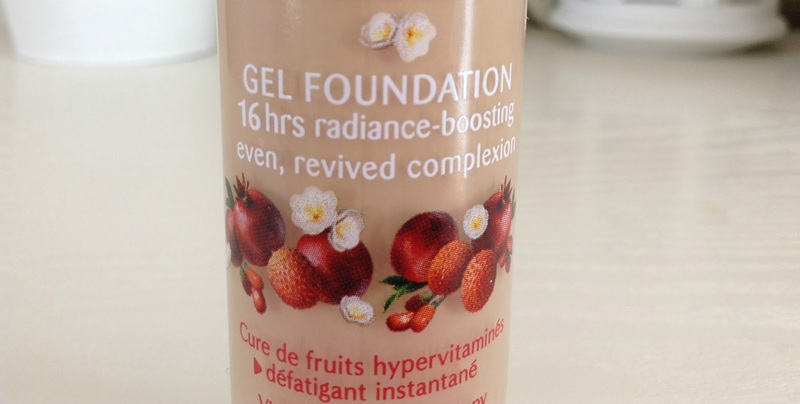 The texture of this foundation is quite thick because it is a gel therefore I think with this foundation less is definitely more, unless you want a really cakey finish. In my opinion this foundation has medium coverage and even though claims to leave a semi-matte finish can look quite dewy. This isn't a surprise to me as all the foundations I've tried claim to leave a different finish compared to the finish they do end up leaving. 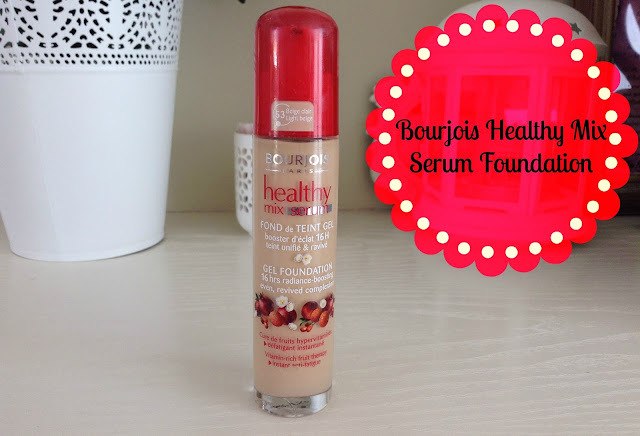 Overall, of both the Bourjois Healthy Mix foundations I've tried the serum is definitely my favorite. It smells absolutely gorgeous, leaves the most perfect finish and improves the radiance of your skin. If you haven't tried this product yet I would definitely recommend it, especially if like me you don't really like very high coverage. Have you tried both the Bourjois foundations? Do you have a preference? Are there any other drugstore foundations that you think are better than this one? Leaves your comments below and we can have a little chat! Sorry I'm a little confused by your comment? The upper comment is spam, ignore it ;). I didn`t find Healthy mix serum cakey, maybe original healthy mix, but not healthy mix serum.